The features of using radioactive isotopes when creating off-line power supplies are considered. The analysis of the substances used in radioisotope thermoelectric generators (RTGs) is carried out. The prospects for manufacturing beta-voltaic generators are justified and they are compared with other electric power sources. The mechanism of β-decay and its place among other types of nuclear transformations is considered. The basic requirements for radiation safety and the used materials of the frame and converter are formulated. Some designs of radioisotope beta-voltaic sources proposed earlier are considered. A list of isotopes that can be used as a power source in a beta-voltaic generator is presented. The methods for obtaining the radioactive materials demonstrating β-decay and their basic properties and natural isotopes are considered. It is concluded that the choice of nickel-63 isotope is preferable for use in beta-voltaic generators due to the optimal combination of its half lifetime, average particle energy, and radiation intensity. Original Russian Text © A.S. Bykov, M.D. Malinkovich, I.V. Kubasov, A.M. Kislyuk, D.A. Kiselev, S.V. Ksenich, R.N. Zhukov, A.A. Temirov, M.V. Chichkov, A.A. Polisan, Yu.N. 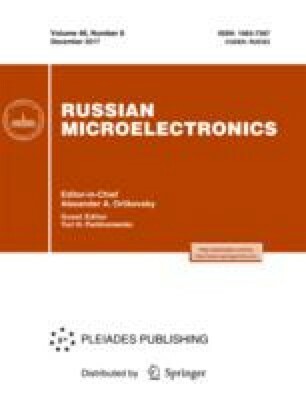 Parkhomenko, 2016, published in Izvestiya Vysshikh Uchebnykh Zavedenii, Materialy Elektronnoi Tekhniki, 2016, Vol. 19, No. 4, pp. 221–234.